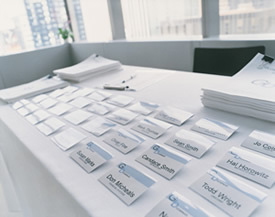 We are a professional conference and meeting planning service. ConferencePROS experienced event planners arrange many meetings, conferences and events here in Norman, Oklahoma. We are also equally confident hosting events in other cities and states. Planning an event, large or small, can be overwhelming for most businesses. ConferencePROS can help with organizing and implementing the countless tasks involved, whether you're planning a small day-long meeting, a week-long conference for thousands, or something in between. Our team of knowledgeable professionals can manage all the details. Planning an event or conference for hundreds or thousands of participants? getting it all done on time and under budget! We sweat the details so you don't have to! It's not just about size. Geography, technology, languages and the cultures of your participants all impact the success of your event. Even a small conference, or a series of focus groups, benefit from the experience and service of our conference professionals. We are here to help! If your organization is planning an event, call 1-800-203-5494 and let ConferencePROS help make it a smashing success! The number of details to be considered can be overwhelming. Contact ConferencePROS for a comprehensive event analysis for a detailed explanation of projected timelines and expenditures. ConferencePROS began in 1996, providing conference logistics support services for federal and state programs. They expanded services to include conference, meeting and event planning services. ConferencePROS aids local, regional, national and international agencies and organizations in developing and conducting conferences that meet the specific needs of their direct clientele. Professional development is important to the staff of ConferencePROS as we seek opportunities to keep up with current trends. For that reason, we belong to several organizations, including the Society of Government Meeting Professionals and the University Professional and Continuing Education Association. Formally known as the National Conference Logistics Center, in 2009, we changed our name to ConferencePROS. ConferencePROS benefits from the strengths of faculty at OU Outreach (OU’s College of Continuing Education), as well as a wide range of other resources and consultants in recommending appropriate expertise and presentation skills in various fields of study. The staff of ConferencePROS has extensive experience and demonstrated success in designing content, providing logistical support and conducting large national and international conferences of high impact, visibility and national or international acclaim. 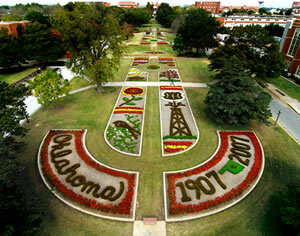 ConferencePROS is located on the south end of OU’s beautiful and historic campus in Norman, Oklahoma. Where does one begin when asked to plan a conference? The number of details to be considered can be overwhelming. Contact us at ConferencePROS for a comprehensive event analysis with a detailed explanation of projected timelines and expenditures. 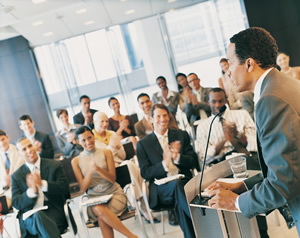 The coordinators at ConferencePROS are experienced professionals. We save time because we know what arrangements to make and whom to call. We regularly handle site and vendor negotiations and know what concessions to request, so we can save you money! In fact from planning, marketing and management to negotiations and technology, staff members at ConferencePROS have the knowledge and experience to handle all of the details for your next conference or event. We can help you with. . .
Scheduling: We will work with you to develop tasks and time lines for your committees and staff. Budgeting: Our experienced financial staff can help you plan budgets that are realistic and within your guidelines. Negotiating: We will help you review contracts, proposals and bids so you know exactly what you are getting. 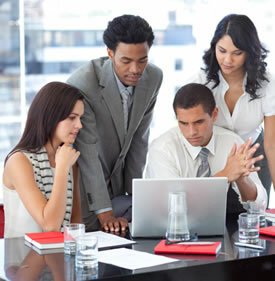 Managing: We can assist you, your committees and staff in every step of implementing your plan. Reporting: We will monitor the logistics and budgets to provide you with the updates you need. Evaluating: We will be there to assist with your final evaluations and reports. We are ready to work behind the scenes so your events come through with flying colors. Take the headache out of events and conference planning and let us carry the load. All you need to do to is, simply ask us for a bid – we appreciate your interest and consideration! On to ConferencePROS! Managing your conference on site requires solid teamwork, clear communications, the right resources and quick response to potential problems. Our experienced conference teams know what to expect and how to deal with the unexpected. Registration does not have to be a nightmare. 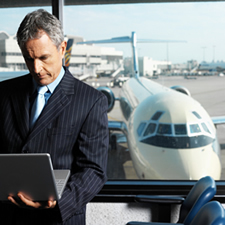 We have a reputation for extremely fast and effective onsite registration check-in. With our online pre-registration (including secure credit card payment!) and onsite registration software, the information you need is readily available. We can keep your conference running smoothly - it is that simple! Our on-site staff is professional, courteous and helpful to both you and your conferees. Your conference becomes ours and we become your staff. Registration: Your attendees have the convenience of registering online, by telephone, mail, fax or on site. Audiovisual: Our technicians are trained in both set-up and troubleshooting. Logistical Support: Depend on us to coordinate and monitor your schedule, room sets, catered events, entertainment and transportation. Speaker Coordination: We can assist in scheduling and attending to the special needs of speakers and workshop presenters. Event Materials: We can create and provide agendas, name badges and ribbons, participant lists, conference bags or notebooks, handouts -- even custom CDs! Signs and Kiosks: Basic and creative solutions to the age-old question, "Where is my next session?" Proceedings: We can help edit and publish notes and handouts, papers, participant lists and minutes in both paper and electronic formats. Evaluation: We can design, produce, collect, tabulate evaluations and even produce a custom database of participant comments. The goal of marketing is to inform people about your event and interest them in attending. 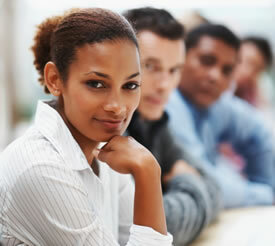 Well-attended events are more cost effective and profitable. So even if you are managing your own conference, you can use our expertise in marketing and advertising. Demographics/Tracking: We will crunch the data and help you analyze who is attending your conference (along with who could be). Strategy: We will help you develop an overall strategy for informing, creating interest, inviting and confirming people. 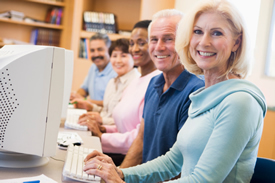 Contact Databases: We can work with your database, use our powerful and flexible software or even design and develop a database to meet your special needs. Direct Mail: We can guide you through the bewildering world of preparing and mailing letters and brochures. Brochure and Registration Materials Design: We can provide or arrange for talented artists, designers and copywriters so your publications convey the right message. Print Media/Trade Journal Advertising: From design and layout to managing contracts, we will help get your message out to your target groups. 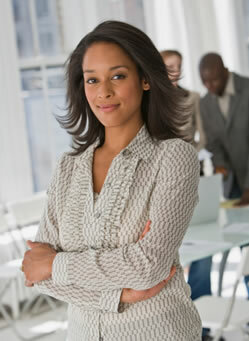 Press Releases: We will show you how to use the free media to your advantage. Mass Advertising: If TV, radio and newspaper advertising fit your conference, we can assist with production, distribution and contracting. Website: We can set up information and registration sites on your existing website. Or, let us create a new one just for your conference that is visually appealing with a mobile friendly responsive design. We'll ensure your website that we create is ADA compliant, accessible to all. 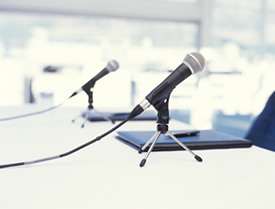 Discussion Boards: We will give your conference participants a place to ask questions before and during the conference. Online Call-for-Presenter Proposals and Presentations: Potential presenters can submit their proposals online. Your board can access, review and score the proposals online. You will save postage and time while increasing efficiency and effectiveness. We can even generate acceptance and denial letters to presenters! List Serves and Email Advertising: We will set up special group emailings for potential participants in your conference. 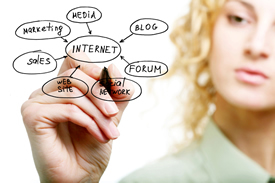 Internet Advertising: We will show you how to use buttons, banners and links to generate interest in your conference. Alumni Marketing: We can help you maintain contact with participants and encourage their registration for your next conference. Evaluations: Tap into our expertise on using participant evaluation data to improve your next conference. Can we get a better deal? We know that you want the best prices you can get, without sacrificing the quality experience that your participants expect and demand. 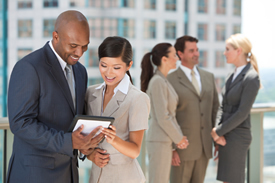 As experienced negotiators, we are able to create a win-win situation for everyone involved. 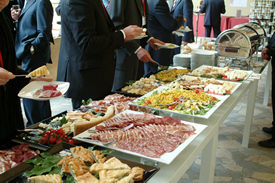 We can deliver the best prices on convention center meeting space, hotel lodging and catered food functions. 25 special kosher meals (seven of them vegetarian!) for your noon luncheon. Bus transportation for 850 to your evening-out activity at the ball park. Moving and setting up your life-size replica of the space shuttle in the display area. Americans with Disabilities Act (ADA) and other special needs. From the ordinary to the unique, we can arrange the services you need, when you need them, at prices to fit your budget. We are not like everyone else. Our varied and unique experiences in planning and managing national conferences benefit you. Whether you are facing special reporting requirements for a government funded conference or need to offer CEUs (continuing education units) or other credits for a professional group, we have the expertise and resources to deliver what you need. Proposal presentation: Need help making that big pitch to your board or boss for your conference plan? We can help research and design (and even provide the technology!) to make a dynamic presentation. Budgeting and reporting: Whether it is budget reports, demographics, progress reports or any other information you plan to collect, we will help you design and format forms and summaries. Mailing lists: Whether you are updating previous conferees or building a contact list for your next conference, our staff can assist with data entry and database development for generating mail and email lists. ADA and diversity compliance: Are you in compliance? Our experienced staff can consult with you on meeting these regulations, including multiple cultures and languages and a variety of physical challenges. Certification: We can help you structure your conference so interested participants receive CEUs or other continuing education credits. How many senses are you using? The technologies that fill our media-driven world are transforming conferences and the people who attend them. To stay ahead of the technology curve, we have our own audiovisual technology department. Set up and install the equipment so that it is convenient, secure, out of your way and safe. The idea is simple: network a bunch of computers, give them high-speed internet access and offer participants the ability to surf the web, pick-up and send email and work with common office applications. Today, few conferences would be without at least one. 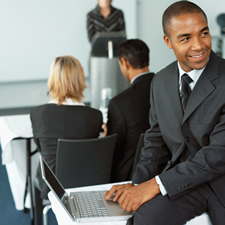 We can plan, set up and keep your meeting running smoothly. Latté, anyone? Participants today demand a lot more than folding chairs and hand written notes. 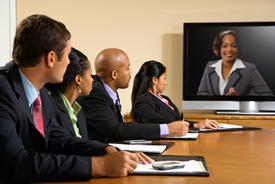 Your conference may feature audio taping, videotaping, IMAG (image magnification on large screen) and streaming video. From computer classrooms to CD design and production, we make sure the technology is there and that it works. Sound: Lapel and handheld microphones, audio mixers and other sound reinforcement technologies. Lighting: State-of-the-art lighting, spotlights and lighting control boards. Video/Film: Cameras, VCRs and TV/VCR monitors. IMAG/Projection: Data projectors, screens, overhead projectors, slide projectors and lighting. Recording: Audio and video in a variety of formats. Web casting: Digital conversion and streaming technologies. Let ConferencePROS make your next event a smashing success!! Weather for cities and regions around the world with satellite images. Current conditions and forecasts for U. S. regions and cities. Time zones for countries, major cities and regions around the world. Time Zone Conversion from/to GMT. Languages from Travlang's online translating dictionary. Travel guidelines and travel advisories for federal employees. Health advisories and warnings; ship sanitation ratings; how to get passports and visas.